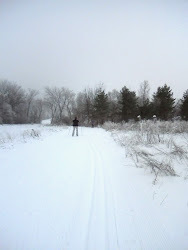 Lime Creek Grooming - You can post date,time & snow conditions/weather of grooming activities. Contact us if you want to sign up as an author! Good News, Great News & Better News for North Iowa Skiiers! Lime Creek Conservation Board voted tonight to partner with North Iowa Nordic to continue to groom the skate loops at Lime Creek Nature Center. Better yet, the Conservation Board also authorized purchase of a new grooming snowmobile and hydraulic groomer & renovator for the woodland classic trails. As if that wasn't enough good news the Board expressly committed to expand Nordic skiing in North Iowa by adding Wilkinson Park in Rock Falls to the County's grooming schedule. To improve this partnership, we need to keep track of grooming activities on a daily basis. Look for a calendar to be posted on this site for anyone to update. We also will appreciate you constructive comments. Please join North Iowa Nordic in our gratitude to the Lime Creek Conseration Board Members!